In April of 2010, prominent Pittsburgh attorney, Brad Sommer of Sommer Law Group PC, and seasoned entrepreneur Daniel Seebeck launched Market Real Estate, Inc. Utilizing extensive real estate investing experience as well as real estate and corporate law experience, Sommer and Seebeck joined forces and created a dynamic team of real estate professionals offering Pittsburgh a fresh new real estate concept, with great options for real estate investors. Market Real Estate knows its team of agents will provide exemplary service to clients in the Pittsburgh real estate market. Locally owned and operated, Market Real Estate staff have over 25 years of experience here in Pittsburgh. The family of agents work together in a team-based environment which has produced a proven track record in residential, commercial and investment real estate services. This cooperative atmosphere allows agents to provide the best opportunities for clients while cultivating a unique work environment for the agents. The trusted team at Market Real Estate has the expertise to handle your real estate needs here in the Greater Pittsburgh Area. M.R.E. offers innovative bundled services as well as experienced guidance for the first time home buyer. The team has unparalleled expertise in real estate and familiarity with the Greater Pittsburgh Area. They remain confident that the team will persistently meet and exceed client expectations. Market Real Estate Inc. strives to fill every need of our investors and does so in conjunction with its rapidly growing sister company, Three Rivers Property Management. Regardless of whether you are looking to rent or have a property that needs to be rented, Three Rivers Property is paving the way for the highest quality management services. With a diligent team of in-house staff including Diane Wheeler our General Manager, along with construction coordinators and leasing specialists, and many skilled contractors. Three Rivers Property Management is confident in its ability to meet all client needs. Three Rivers Property's home remodeling division specializes in getting property in up-to-par rental condition, and is currently working on whole house remodels throughout the city. With their innovative, yet grassroots approach, Sommer Law Group, Market Real Estate, and Three Rivers Property Management have created a trifecta to meet all of your residential or commercial real estate needs. 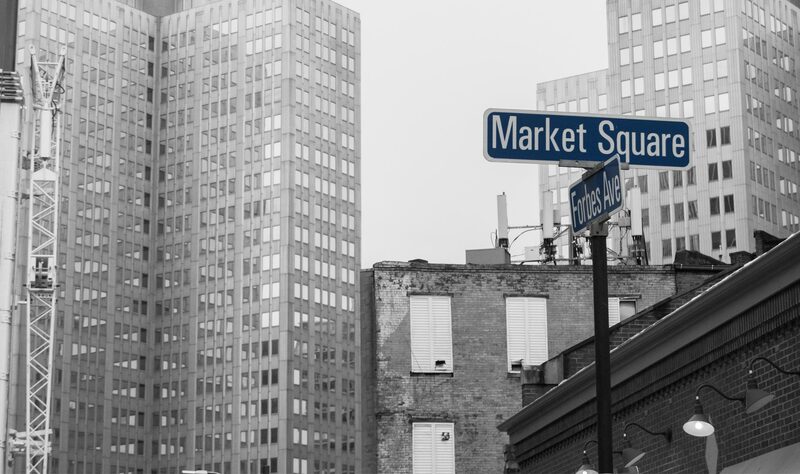 The Market Real Estate main office is located in Market Square, a growing historic area in the heart of downtown Pittsburgh. Naturally, the Market Real Estate team takes advantage of every opportunity to be on the front line of the development going on in its very own ‘backyard’.